At the beginning of 2017 there was a huge epidemic in the number of van tool thefts in the UK; putting many tradespeople out of work. We want to help our customers avoid this kind of incident by increasing the physical security for their vehicles and tools and by looking into insurance policies that could help you if you ever were a victim of a ‘Peel and Steal’ crime. What is the ‘Peel and Steal’? For many people vans are not just a means of transport but vehicles that are essential to their business and livelihood. However, with vans often carrying expensive tools and parts, it also makes them very appealing targets for thieves. The Procurator Fiscal has had several reports made to them about the police mainly targeting commercial vehicles in Fort William and Inverness. 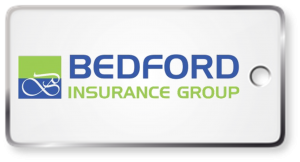 A recent incident in the Waltham Forest area of London exemplifies the value of good commercial vehicle insurance and how important comprehensive cover can be. It is quite normal for any business to look for savings on their outgoings, and cheap van insurance is certainly one way of saving money, it is though, imperative that the insurance covers all contingencies. Van drivers across the UK are being asked to check their commercial van insurance policies this week as a number of recent court cases have proved that ignorance is no excuse for breaking the law.